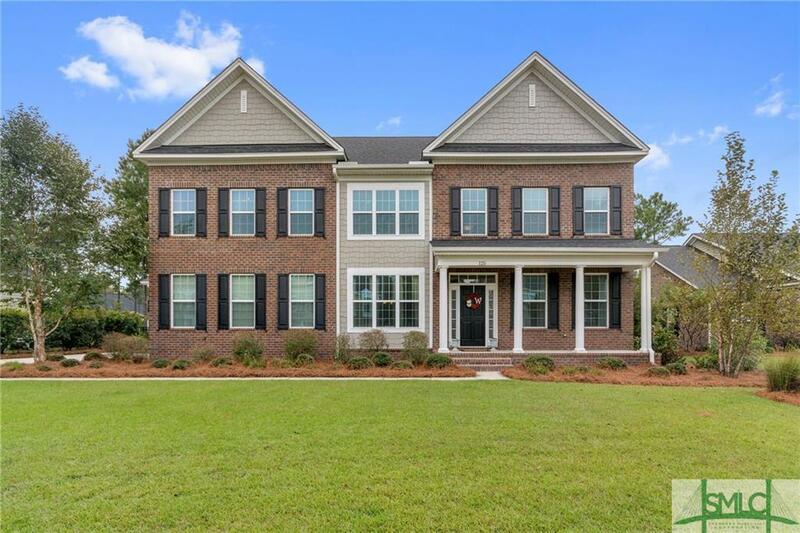 This exquisite 5 bed 3.5 bath home is located in the highly sought after Westbrook Lakes community. Featuring the Patterson floor plan, this luxurious home includes a formal living room, elegant formal dining room, large great room with gas fireplace, and a separate study. This home has an impressive kitchen featuring gorgeous granite counter tops, stainless steel appliances, and a butler's pantry for ample storage. The main level master suite provides the perfect place to relax and unwind and includes a lovely tray ceiling, private sitting area, and 2 walk-in closets. The master bath includes a desired double vanity, garden tub, and separate shower. A large upstairs bonus room is perfect for a family room or added entertainment. Enjoy breathtaking lagoon views from your screened porch and privacy fenced backyard. The community features a fantastic pool and clubhouse, Greg Norman's signature golf course, fitness facilities, and much more!